The Ms. New Hampshire Senior America Pageant is administered by Ms New Hampshire Senior America under the direction of the dedicated team of Dr. Carolyn Cottrell, Ms West Virginia 2016, and Kathy Salanitro, Ms New Hampshire 2011. Visit Ms New Hampshire Senior America Pageant or contact msnh@nhsenioramerica.org to learn more about the crowning of Ms New Hampshire 2019. Make your plans to be inspired! CONGRATULATIONS to CARRYE SCHENK, Ms. New Hampshire 2018! Carrye Schenk has a Bachelor of Fine Arts from Ohio State University and has worked as an interior designer. She also was a costumerer and costume shop supervisor, designed posters and set pieces for the theatres at the University of Vermont. Her painting talents were also utilized by Vermont Public Television. Carrye has shown her work all over New England and illustrated three nature books published by W.W. Norton and Simon and Schuster. She also illustrated a book of poems by Emma Frederick Bandel who grew up in the late 19th century. Carrye has had her work twice juried into the Salmagundi Art Club in New York City and multiple times by the Vermont Institute of Natural Science. Her art work has also been juried into the Wondrous Wildlife Show at the Cincinnati Zoo and she has performed several one-woman shows. Carrye also creates jeweled Victorian ornaments, some of which have graced the Christmas trees at the U.S. Capitol and the White House. Her drawings have been featured in Vermont Life magazine, Vermont History magazine, New York Conservationist, Scholastic and Catholic Digest, and The Boston Globe. Her work has also appeared in the Toledo Blade, The Cincinnati Post, The Richmond Times, Sarasota News and Upland Winter. Among the notables who have praised her work are U.S. Senators Jim Jeffords, Patrick Leahy, Vermont Governors Dean Davis and Madelyn Kunin and Manchester, New Hampshire Mayor, Joyce Craig. She has been written letters of commendation from Marlin Perkins, Pete and Toshi Seeger, and Charles H. Callison of the National Audubon Society. 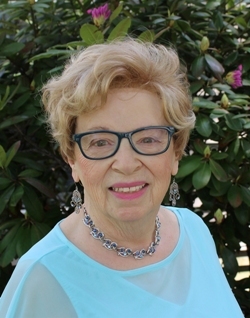 She is a member of Kappa Kappa Gamma, the Richmond Area Business Association and Historical Society. Carrye is a past president of the Green Mountain branch of the National League of American Penwomen, and lifetime member of Vermont Handcrafters. She is an active and enthusiastic resident of her new home at Birch Hill in Manchester, New Hampshire. She is honored to represent Birch Hill and the State of New Hampshire in the Ms. Senior America Pageant 2018 in Atlantic City, New Jersey this coming October.